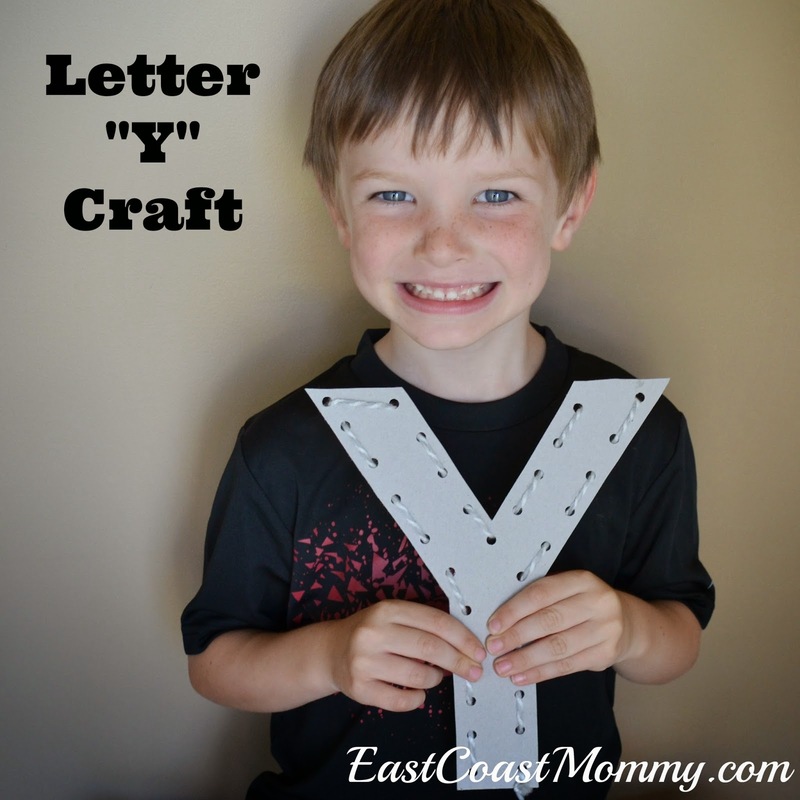 My youngest son and I are "crafting our way through the alphabet", and today we had some fun with the Letter Y. 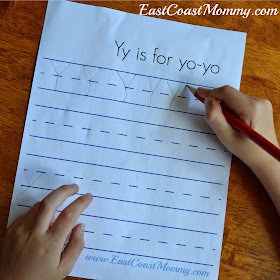 We did a Yarn craft, made a yo-yo, and did a little Letter Y printing practice. 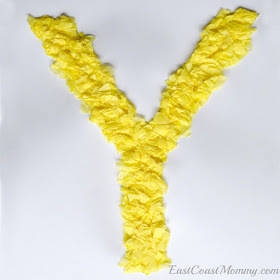 1) Cut a "Y" shape from a cereal box or other piece of thin cardboard. 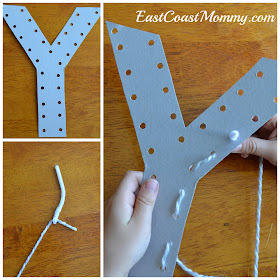 2) Use a hole punch to make holes around the perimeter of the shape. 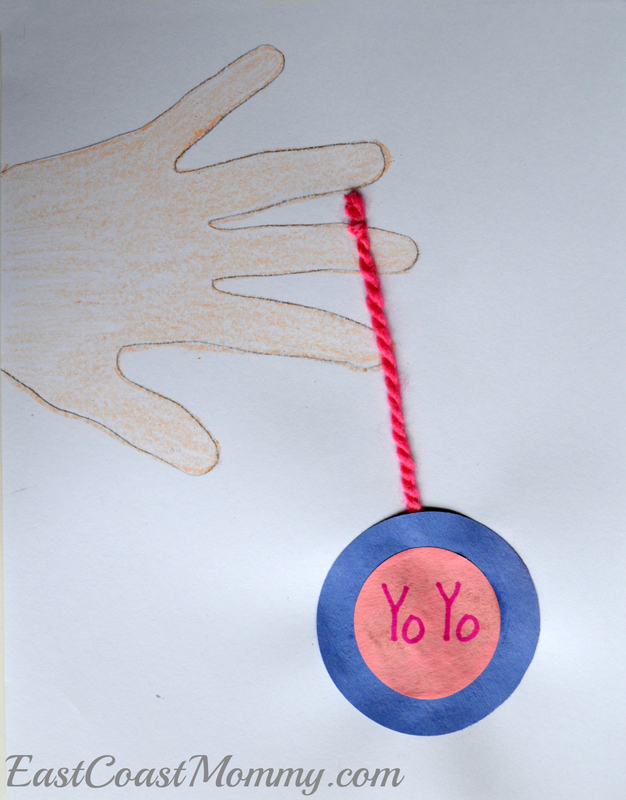 3) Attach a piece of yarn to a piece of pipe cleaner, and use the "needle and thread" to weave the yarn around the shape. 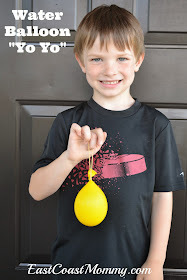 1) Take a normal size balloon (not a water balloon) and add a small amount of water. 2) Tie the end of the balloon. 3) Add an elastic band to the end of the balloon. After our craft, we did a little printing practice. If you want to practice printing the letter Y with your little one, right click on the picture below, save it to your computer, and print it. 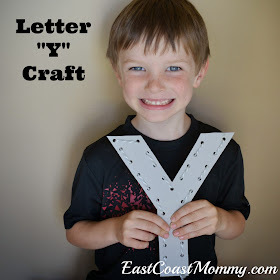 Looking for more letter Y crafts? Check out this adorable "y is for yo-yo" craft. Trace the child's hand and colour it. 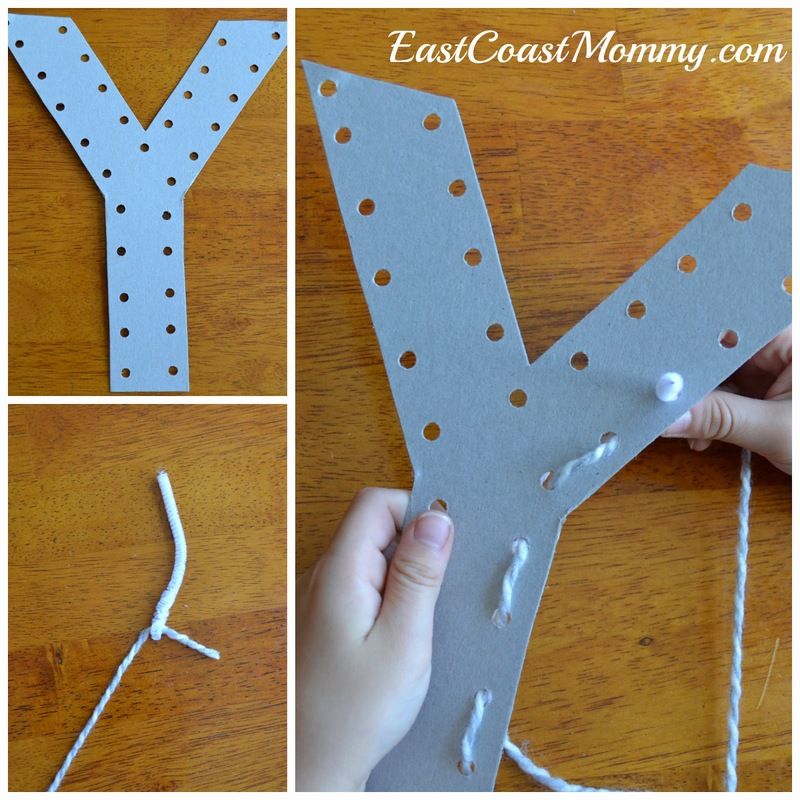 Then, use glue to attach two circles and a piece of string. You could also ball up tissue paper and glue it to a "Y" to make this "y is for yellow" picture. 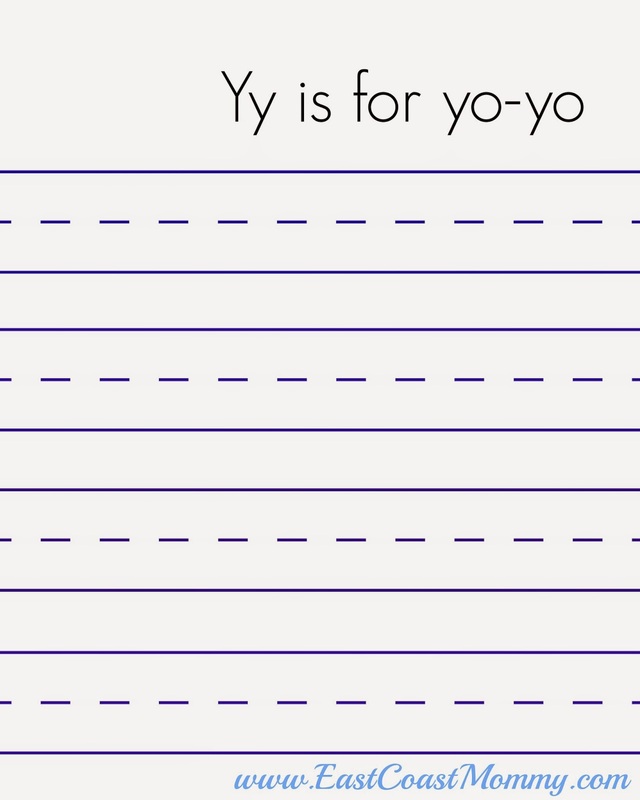 And how cute is this "y is for yawn or yell" picture that allows kids to practice their scissor skills? 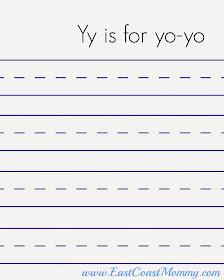 Start by colouring an oval on a sheet of paper. Then, use glue to attach a black mouth, a pom pom nose, and two googly eyes. 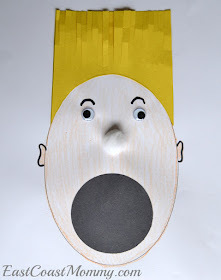 Finish by using scissors to cut paper to make hair, and attach the hair to the paper with glue. Fun, right? 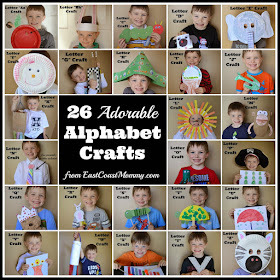 Next up, the letter Z. I can't believe we have almost finished our "crafting our way through the alphabet" adventure!